EMILY HIPCHEN is a Fulbright scholar, an NEH grantee, and the editor of Adoption & Culture, as well as co-editor, since 1999, of a/b: Autobiography Studies. She publishes essays in autobiography studies (with a subspecialty in adoption life writing) and is the author of a memoir, Coming Apart Together: Fragments from an Adoption (2005). Her essays, short stories, and poems have won awards, received honorable mentions, and have appeared in Fourth Genre, Northwest Review, Arts & Letters, and elsewhere. 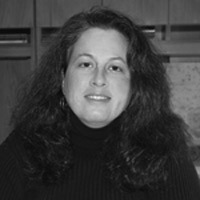 She prepares editing interns and teaches undergraduate and graduate courses in autobiography, the literature of adoption, and creative nonfiction as an associate professor at the University of West Georgia. She was accepted for a Virginia Center for the Creative Arts (VCCA) Fellowship for this year.